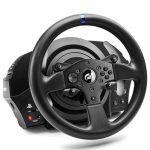 Comprehensive driving controls: 13 action buttons (including 2 on the base) + 1 D-Pad. Compatible with PS4™, PS3™ & PC with detachable Thrustmaster wheels** (599XX EVO 30 Wheel Add-On Alcantara Edition, TM Leather 28 GT Wheel Add-On, Ferrari F1 Wheel Add-On, Ferrari GTE Wheel Add-On, etc.). 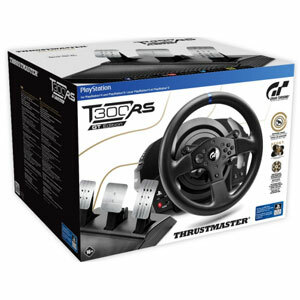 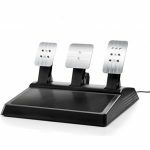 Compatible with PS4™, PS3™ & PC with Thrustmaster 3-pedal pedal set T3PA-PRO**. 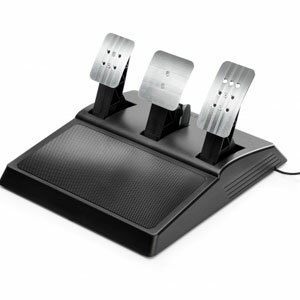 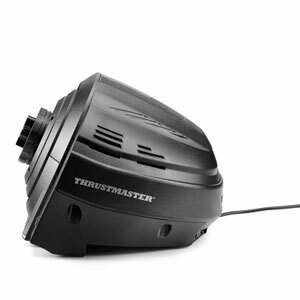 Compatible with PS4™, PS3™ & PC with the TH8A shifter** (TH8A – Thrustmaster TH8 Add-on).